Yogurt is a rich source of calcium, protein, and probiotics, but it is important to eat it in moderation to enjoy its benefits without having to worry about any side effects. You have to maintain a balance in your diet to stay healthy. Therefore, it is important to know how much yogurt you can eat, which depends on which type of yogurt you are going to include in your diet. Experts are of the view that you should consume about 3 cups of dairy products every day. The same is true for children between 9 and 13 years of age. To meet 30% of this recommended daily intake, you can simply have a cup of Greek yogurt included in your diet. It will provide you with potassium, vitamin D, and calcium that help strengthen your bones and lower your risk of hypertension, Type2 diabetes, osteoporosis, and heart disease. Bear in mind that a serving of any type of yogurt refers to a cup or 8 fluid ounces. This serving size is equal to a cup of milk, 1 ½ ounces of hard cheese, 2 cups of cottage cheese, 1 ½ cups of ice cream, a cup of frozen yogurt, and a cup of soymilk. Now you know the answer to, "How much yogurt should I eat?" you may also be wondering about some solid reasons to actually include yogurt in your diet. Here are some impressive benefits of yogurt. You can drop a jeans size by eating 18oz of yogurt every day and cutting your total calories at the same time. 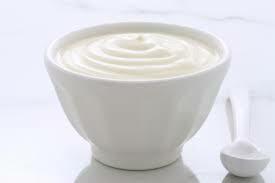 Moreover, including yogurt in your diet helps cut 81% more belly fat. When you have belly fat, it triggers the production of the hormone cortisol that signals your body to accumulate more fat. Calcium found in yogurt tells fat cells to produce less cortisol, which in turn greatly helps lose weight more efficiently. Yogurt provides you with healthy probiotics that help fight bad bacteria in your gut and lower your risk of developing intestinal infections. Just be sure to select yogurt carefully because not all companies include special strains of probiotics in their products. Providing your body with more probiotics strengthens your immune system and improves digestion as well. This also protects you from problems, such as diarrhea or bloating. How much yogurt should I eat? Keep it within 3 cups a day. 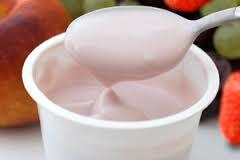 A serving of yogurt provides you with loads of phosphorus, potassium, iodine, riboflavin, vitamin B5, and zinc. You get about 1.4 micrograms of vitamin from an 8oz serving of yogurt. It also provides you with vitamin B12 that helps maintain red blood cells and keep your nervous system healthy. Yogurt greatly reduces your recovery time after a strenuous workout session. Greek yogurt is an especially good option because of its high protein content. Enjoy some Greek yogurt within 60 minutes of exercise to provide your body with amino acids for quick recovery. You utilize carbs as an energy source during exercise, and eating yogurt after a workout helps restore your energy. Hypertension or high blood pressure can cause all sorts of heart and kidney diseases. An 8oz serving of yogurt provides you with about 600mg of potassium, which helps eliminate excess sodium from your body. By lowering the amount of sodium in your blood, you can significantly reduce your risk of developing hypertension and other associated complications. Include yogurt in your diet to significantly increase your protein intake. You get 20g of protein from every container of Greek yogurt. You can also find some brands that offer up to 10g of protein per serving. How much yogurt should I eat? You already know it, but you should also know how to include it in your diet. Here are some tips to consider. You can use yogurt in a variety of recipes. 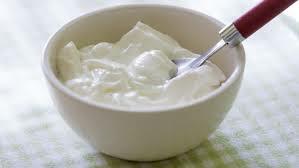 For example, you can always use plain yogurt to replace sour cream in a pinch. Similarly, it is also a good idea to use some yogurt in your brownie, muffin, or cake recipes. Or you can use it to lower fat content in cake mixes. Make strawberry and cream yogurt by adding ⅛ teaspoon of vanilla extra and ¼ cup of chopped strawberries to 6oz of plain yogurt. Make Pina colada yogurt by adding a tablespoon of flaked coconut and ⅛ cup of canned crushed pineapple to 6oz of plain yogurt. Make Mochaccino Yogurt by adding a tablespoon of chocolate syrup and a tablespoon of cool espresso to 6oz of yogurt. Make Orange Burst Yogurt by adding a tablespoon of reduced-sugar orange marmalade and ¼ cup of chopped orange segments to 6oz of yogurt. Simply adding yogurt to your smoothies will make them creamier. Be sure to use low-fat yogurt, especially if you want to increase your calcium and protein intake. It is even better than light ice cream. To make yogurt even more beneficial for your health, simply add a tablespoon of ground flaxseed to it. This will add about 3g of fiber and 2g of omega-3s to your yogurt and make it a lot healthier too. While including yogurt in your diet is a great way to enjoy several benefits, you should consider looking for yogurt brands that offer active cultures. Therefore, you should always check the label before making a purchase. Similarly, it is also a good idea to opt for low-fat yogurt and avoid sugar yogurt types. Low-fat versions provide you with more protein and less fat. Also bear in mind that plain yogurt is always a better choice than the flavored varieties, which may be very high in sugar.